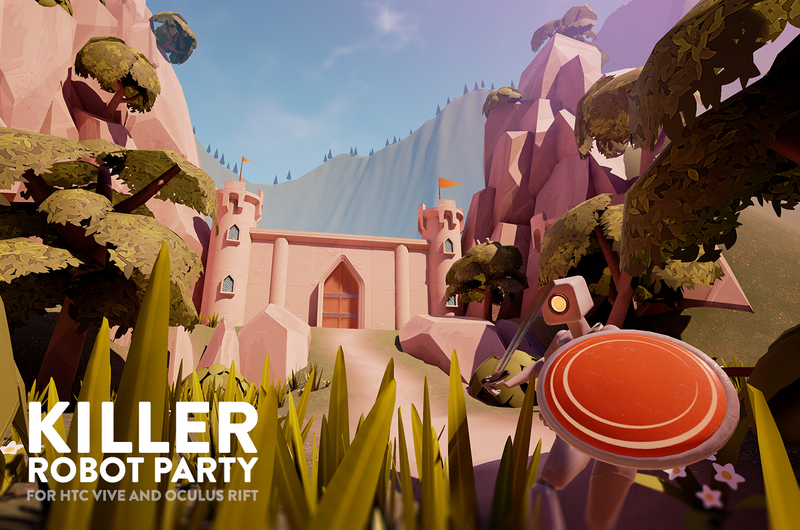 I’m delighted to announce my game for HTC Vive and Oculus Rift, Killer Robot Party! It’s the night before the Queen’s Birthday, and reports are coming in of Killer Robot battalions sweeping across the kingdom. They’re deadly, they ruin parties, and they’ll steal anything that isn’t bolted down. Somehow they heard about the extravagant party which is being prepared for her, and we’re expecting them to arrive in force tomorrow! Use your longbow, magic potions and scavenged weapons to defend the Queen, and stop them from making it into the party at ALL COSTS. Killer Robot Party is in development! Follow me on Twitter, over at the VR Spies Forum, and here on my blog for info! 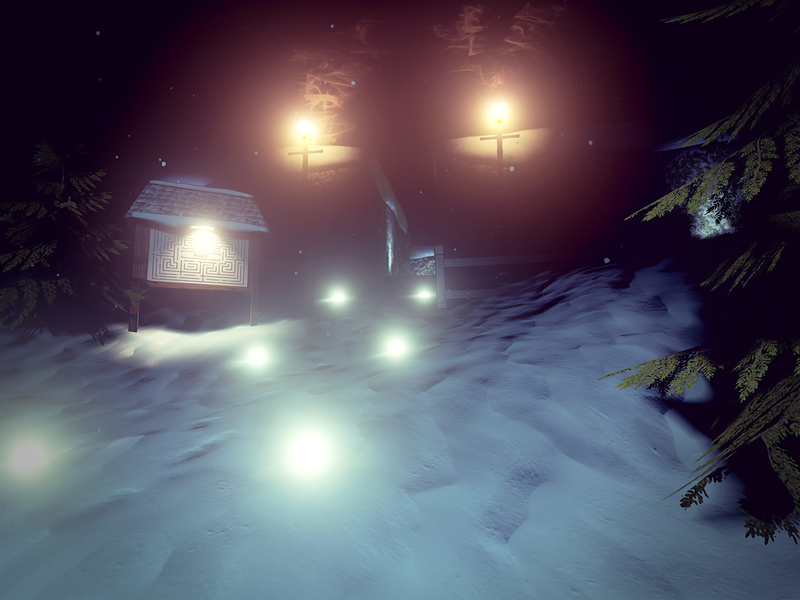 I’ve just released version 1.2 of my Virtual Reality experience, The Caretaker; which sees you taking on the role of the new caretaker at an isolated hotel in the depths of winter. 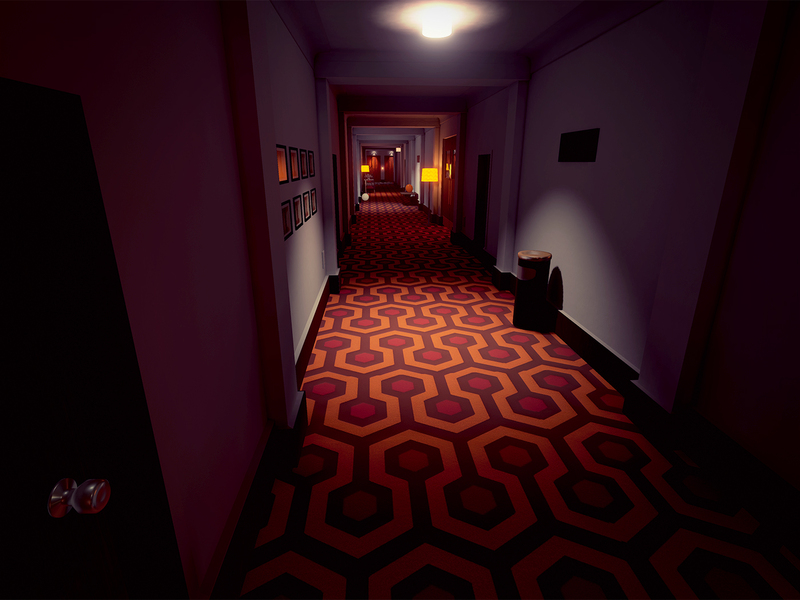 Inspired by The Shining, this experience was featured in The Independent and has racked up over 2000 downloads on Oculus share. I hope to expand the experience significantly in future! This release builds on version 1.1 which added many audio and control improvements. 1.2 focuses on improved performance on lower end systems, some tweaks to presentation and bug fixes. If you’ve not had a go yet – or you’d like to experience this more polished version, head over here and download directly from this website. My VR Horror Experience – The Caretaker was featured by The Independent, a national newspaper in the UK! It’s wonderful to have got some recognition from such a respected publication – and it’s equally great news that VR is featuring more heavily in the mainstream media. Have you ever watched The Shining and thought Jack Nicholson’s character was overreacting a bit? Well, should you want to put that to the test, you can now tour the very hotel from Stanley Kubrick’s 1980 film in virtual reality. Developed by Franbo, this VR experience uses Oculus technology that’ll permit you to run loose around the Overlook Hotel also featured in Stephen King’s source novel. If you’d like to download the experience itself, click here and follow the instructions. While the experience is developed specifically for VR, one can still play-through on a conventional screen. If you’d like to take a look at others reactions to the experience, check out my list of play-throughs here! After a lengthy period of development (for lengthy read glacial), the first major milestone on the road to widespread, high quality VR was reached today with the launch of Oculus Rift pre-orders. A growing community of developers and enthusiasts have been waiting and learning; hoping to shape an exciting future for this new medium (I’d proudly count myself among them). 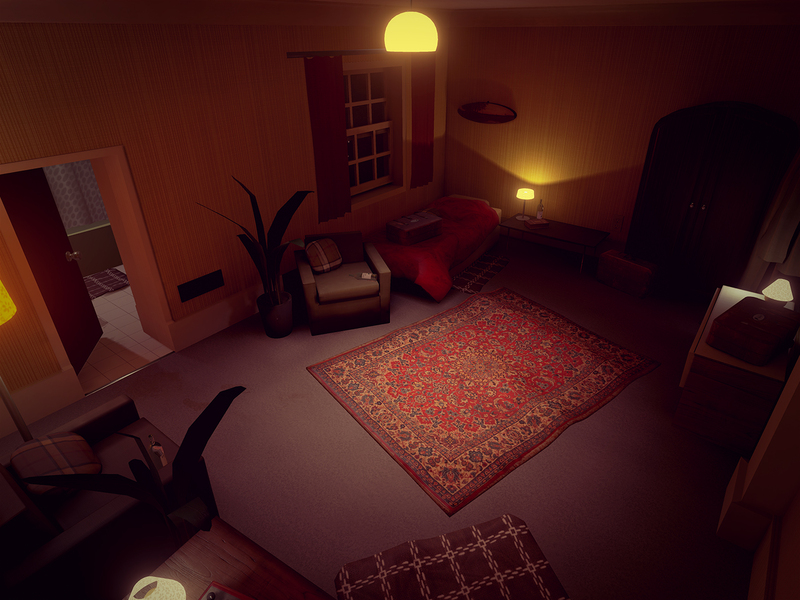 I’ve just released an update for my VR release – The Caretaker, a VR experience inspired by The Shining, following feedback from users. It’s currently being validated by the Oculus team, but temporary download links can be found here. Thanks to everyone who’s taken the time to check it out; I’ve been so pleased to see the positive reaction. Download the latest version of The Caretaker here, or read on for the change list. It’s been fantastic to get such a positive reaction to my first full experience released for the Oculus Rift, The Caretaker. A number of Youtubers have been kind enough to record their play-throughs and provide feedback; here are some of my favourites so far. Thanks to Gamehard 4.0, Jamus and Poiised! Happy Holidays! Hope you’re all having a spectacular holiday season – to get in the mood just before the big day, here’s a tiny VR Christmas card for you to have a wander around in. Take in the sights of the Aurora Borealis, Mrs Miggins’ infamous Pie Shoppe (the Victorian version of Greggs), listen in on the musings of Mr Carmack, the rosy cheeked village pub raconteur, and peek under the Christmas tree to see if there’s something waiting there for you. In this tutorial I’ll talk through the process I used to introduce footstep noises to the player character, using Blueprints – as part of my first VR release “The Caretaker” (free to download on Oculus Share). 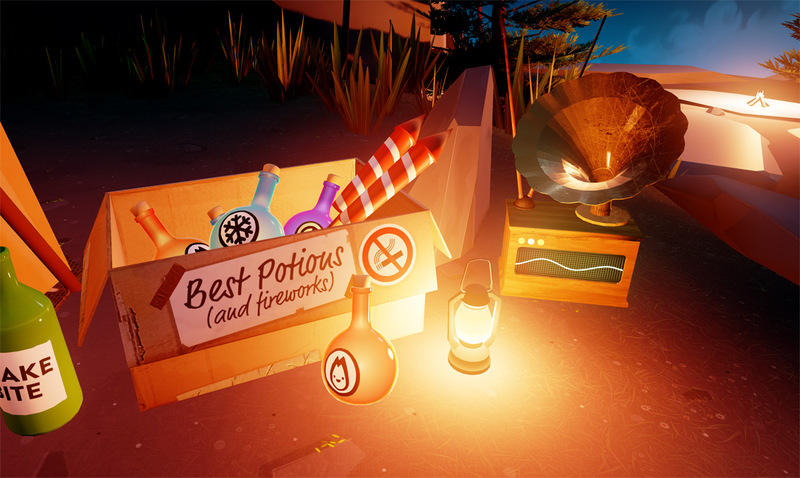 Audio is a fantastic tool in a developer’s tool-kit that can really contribute to a convincing experience in VR – giving the player grounding in the world you’ve created, and greatly enhancing their immersion.